We own several Silkie Chickens and have found them to have a great disposition. These interesting birds can also be great mothers but their egg laying can sometimes be broody so they do require a little extra TLC compared to other chickens that we own. If you have children you will love owning a silkie because their personalities can be very funny and we’ve seen our children feel at ease around them. Silkies also get along great with other chickens and we’ve used our silkies at times to help with hatching eggs from our other chickens that we own. Some of the cons of owning silkies is that they do like to get dirty and if there’s a dirt patch around don’t be surprised to see them rolling around in it plus they can spook easily as well so use caution around them if you plan on using a lawnmower or other power tools during the day. 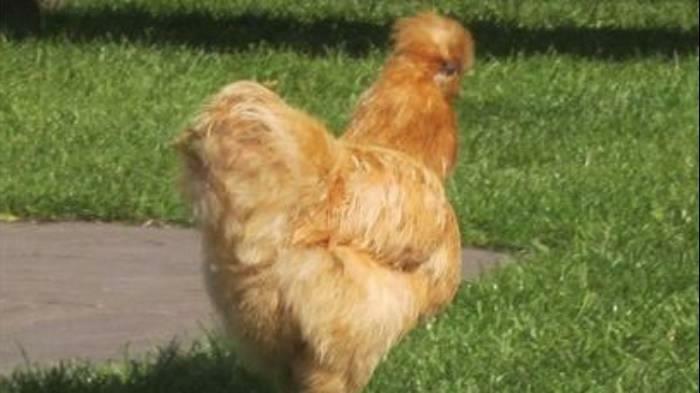 I like silkies because they have a unique look and an interesting history, their scientific name is: Gallus gallus domesticus and this breed originally came from Asia in the 1200’s. Silkie’s can’t also see very well due to their feathers, some people have said that they look like stuffed toys, so you have to keep that in mind especially if you live in an area where coyotes prowl at night and you have to make sure that your silkies are safe during wet weather because they don’t do well during changes in temperatures. Other than that they are very easy to own, don’t eat a lot of feed and will make a great addition to your farm or pet family.